We owe our good health to a humble parasite -- a genetically engineered tapeworm developed by the pioneering SymboGen Corporation. When implanted, the Intestinal Bodyguard worm protects us from illness, boosts our immune system -- even secretes designer drugs. It's been successful beyond the scientists' wildest dreams. Now, years on, almost every human being has a SymboGen tapeworm living within them. But these parasites are getting restless. They want their own lives . . . and will do anything to get them. Mira Grant lives in California, sleeps with a machete under her bed, and highly suggests you do the same. 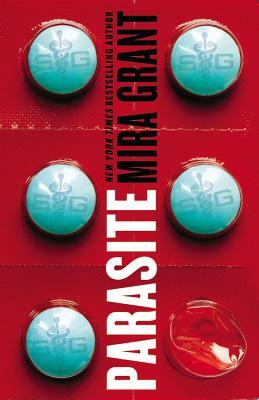 Mira Grant is the pseudonym of Seanan McGuire -- winner of the 2010 John W. Campbell Award for best new writer. Find out more about the author at www.miragrant.com or follow her on twitter @seananmcguire.